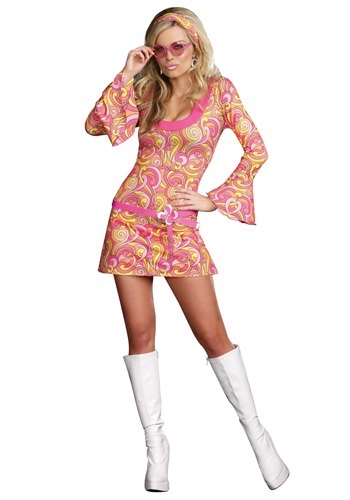 When your best pal called to invite you to her 60s party, you were ecstatic! Not only did it seem like a rockin' night, but you'd finally have a use for that high-neck, lace-trimmed dress with its accompanying hoop skirt! You've been coveting that costume for years with no place to wear it. Then the e-invite went out. Oops. By "60s" she obviously meant the 1960s! That makes way more sense. Now, the party is this weekend and you still don't have a thing to wear, despite your perfect 1860s costume hanging in your closet. Don't fret! 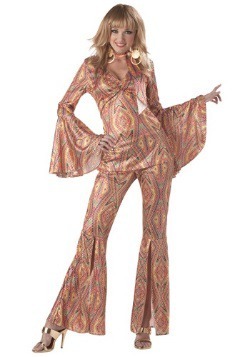 This Groovy Women's Go Go Dancer Costume will thrill you as much, if not more, than your original planned look, and will likely become your go-to garment for costume parties in the future. Plus, it totally fits this weekend's theme. Far out! Don't waste another minute—get yourself into this psychadellic-print mini dress with its long bell sleeves and scoop neck. 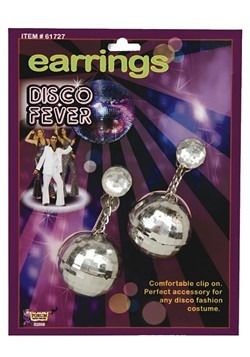 It's totally groovy! It comes with a thin, hot pink faux leather belt with a flower buckle and a matching fabric headband. But that's not all. You can't be a real flower child without a chill pair of shades, so we've included this period-perfect pair of round pink frames to shield you at festivals, protests, sit-ins, and of course, parties! 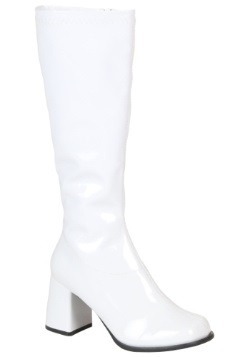 Clip on the included dangling white earrings and find yourself a killer pair of go-go boots for a look that says, "I love the 60s!...any 60s...regardless of the century." We're sure you've learned your lesson: always follow up on the correct century for any decade-themed party invites in the future. It happens to the best of us (it happened to our temp, Melvin, twice in one month!). Luckily, you not only sorted it out, but you came out of the whole ordeal better than you started, with this awesome 60s go-go gal garb! X-Small - $39.99 Only 1 left! Small - $49.99 Only 2 left! Medium - $59.99 Only 5 left! Large - $59.99 Only 5 left!